Australia’s dramatic reversal of fortune in the 50-over format has seen a core group of players put together eight wins on the trot. 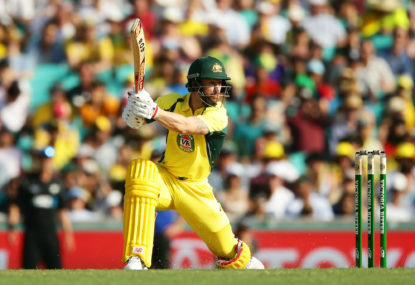 David Warner sent another emphatic message to Australian selectors with a terrific hundred against the Royal Challengers Bangalore in the IPL. 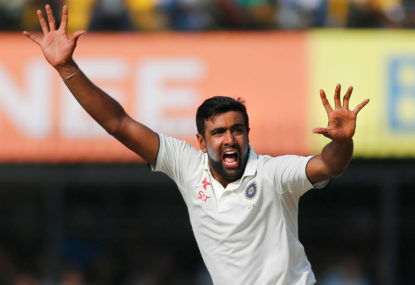 Ravi Ashwin may just have overtaken Virat Kohli a most cricket fans’ most hated player, after a farcical performance. Obviously there are some nuances to the team in various formats but CA’s ridiculous scheduling starves players of the chance to prove themselves. I seem to recall last IPL that Jos Buttler’s red-hot IPL form translated in to his selection in the test side, and Adil Rashid was bowling so potently with the white ball that he found himself picked to bowl with the red ball for England despite declining to sign a first-class contract. Elsewhere, Jasprit Bumrah shows that the form of one can translate into form in another format. We definitely rely on those two, but doesn’t every side? 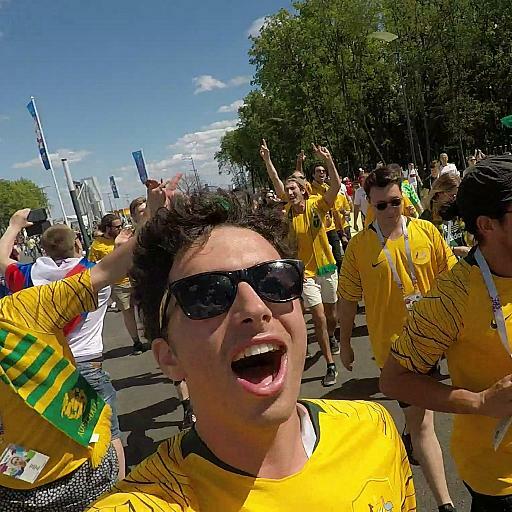 I think Jhye Richardson (if he’s fit) is in red-hot form and can seriously trouble the best (as he showed in the last dozen or so matches) and while I’m not sure of Bherendorff, Coulter-Nile, Starc, or Hazelwood, my suspicion is that one of them will really have a good IPL or will click at the tournament and solve that problem for us. I think you’re largely right here, Paul. Some of these are victims of their form not quite being where it has been, while others hit their straps. I think Agar, Wade, and Head have the most reason to feel hard done by. Agar and Head have been really good players, and I think Wade needs to be picked if the selectors are going to have any integrity to them in responding to the ‘score runs to get picked’ demand. I totally agree re: the lucky ones. Hazelwood is a good seam bowler but he’s not been strong in a long time. The Aussie side is crying out for a quality ‘death’ bowler and if we were to go Cummins (a certain pick), Starc (raw pace, player of the tournament last WC), and HAzelwood then I don’t see one. That’s why the form of Jhye Richardson has been so good, and why it’s been so disappointing to see him injured and AJ Tye out of form. I think Warner will make it, but the scale of his impact on team morale is largely unknowable (but maybe that’s reason to not include him at all? The devil you know…). 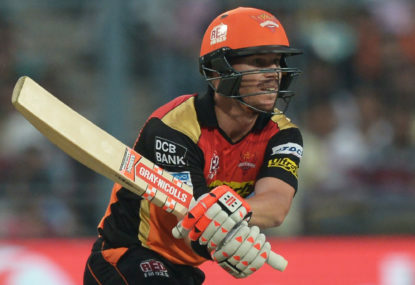 Smith needs to play seriously good cricket in the back end of this IPL. As it stands, I’m not sure he walks into the side. Mate I can’t understand what more you’d want to see from Wade!! The man has been the standout player across the summer and has scored runs on all sorts of decks. It’s ridiculous that he’s not in the frame. To undermine my own argument: it’s also possible that the English pitches are worn and drier by the time the Ashes roll around. There will already have been a county season and a World Cup played on them, so they may lack some of the nip and greenery that English pitches have usually had in Ashes campaigns played a touch earlier in the summer. If this is the case, then perhaps the seamer / swing bowler loses his effectiveness, and express pace comes back into vogue to get that ‘something extra’ out of the pitch. Both are relevant considerations, and for argument’s sake lets ignore that test. Siddle’s class remains clear given his excellent county record (especially in recent years) and improved domestic performances over the last few seasons. Australia has always loved a quick bowler in the mould of Lee, Johnson, or Starc. But some of our most successful bowlers in England were far from express. Think McGrath, Gillespie, Siddle. Even Mitch Marsh’s right arm ordinary picked up a 5fa last ashes. 2. 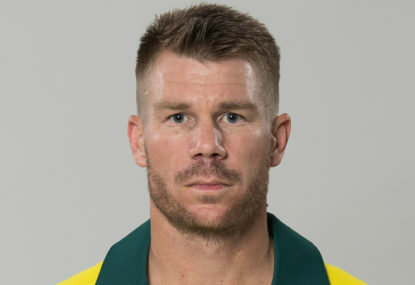 Warner has all the characteristics of a great middle overs player. He can defend well, can find the gaps, accelerate when needed, and also run really hard to put pressure on the field. It’s not such a preposterous consideration. I haven’t been so sure they’d return better, but Warner seems to be showing it, although Smith has been less impressive in his two outings so far. As for my maths, you’re spot on! This just makes it all the more impressive I think. So a recount would suggest 47 singles and 18 twos across the whole SRH innings for 85 lengths and a staggering 1700m. His determination to get back for the second run and put the fielder under pressure was really incredible and I think it bodes well for an Australian return. I think Smith presumably slots in for Handscomb or Marsh. I think any side needs 6 bowling options, and that means you can’t drop Maxwell or Stoinis unless you plan to be able to get overs out of Smith/Finch. Maybe Finch bowling himself was an indication of that?